You are probably weirded out right now because most of you know I'm not big on the religion front. But... that is TouchDown Jesus! 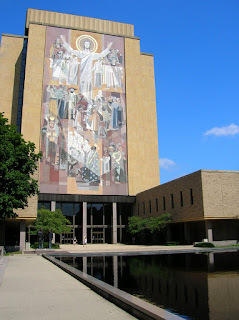 A couple of weeks ago, the SO and I took a trip to Notre Dame University in South Bend, Indiana. I love going to college and university campuses. It's the geek in me. 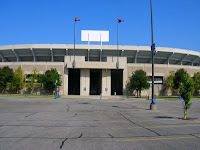 I have always wanted to visit Notre Dame, the SO loves ND football, and I wanted to go on a mini-trip prior to isolation so it was a great trip to take! 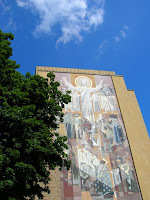 So as mentioned that is TouchDown Jesus, a mural on Hesburgh Library that is seen from the stadium. OMG - the library. 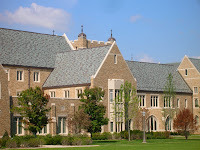 They have a special collection of rare books from Roman Catholic Church history, law, Irish studies and so much more! They also have ancient manuscripts from Egyptian, Greek and Roman times. Ohhhh.... amazing! But of course, I couldn't go in because it closed on weekends, but maaaaan! So cool! It was a beautiful day to spend at a beautiful campus. Look - Even the dorms look beautiful! 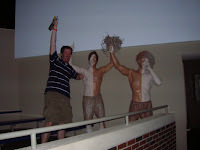 This was a sculpture that we found on campus. 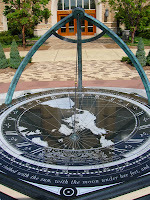 It is a compass that shows the date, time of day as well as the time of the year as based on the sun's position. Around the compass they had places and distances to these cities. 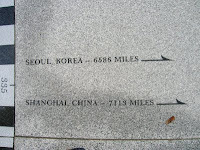 I found one for Seoul, Korea, which is where Mumma Roy is from. And where that side of the family is located. 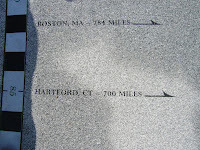 And I found Boston and Hartford. My 'rents live in NH, wicked close to Boston. And my best friend is in Norwalk, wicked close to Hartford. This just kinda reminded me how far away I am from you guys!! 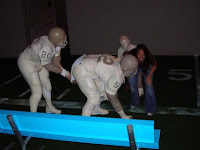 Later that afternoon we went to the College Football Hall of Fame, also located in South Bend, IN. 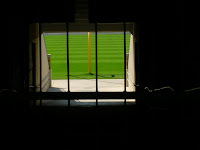 Many of you know how much I love football, and all sports. So this place was wicked cool. 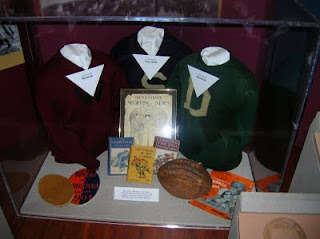 We learned about the history of football as well as college football. 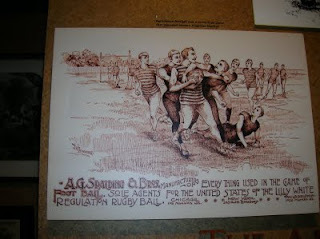 Not surprising, football, soccer, and rugby all have origins in the same game which was started in Europe. 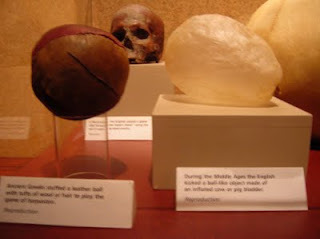 Here are some of the early items used as a football. Yes, that includes a skull, rock, cow's bladder and hardened cow patties! Here are some of the more modern day footballs. Guess what... 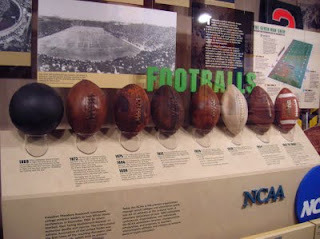 Some of the early footballs were hand sewn! Speaking of handmade. 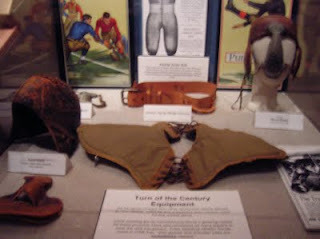 Some of the early equipment and uniforms were all hand sewn, knit or woven! The SO looooved me as I ran around snapping pictures of all the handmade items. 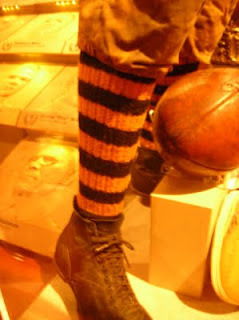 Knitted socks! They even look handmade! I love it! (told you I could turn a football trip into fiber goodness). 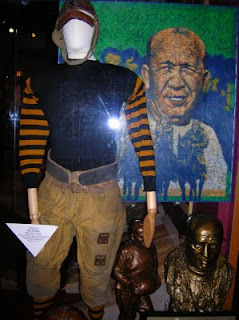 The FHoF also had a "hands on" area. The SO and I had a little fun. 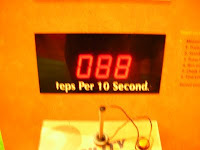 I found out I cannot kick. Surprising because I loved playing soccer. But damn can I throw and catch! The SO is much better on the kicking front. 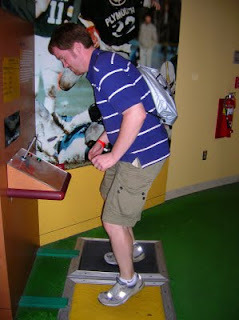 Maybe if we ever procreate we'll have an athlete with our combined abilities! 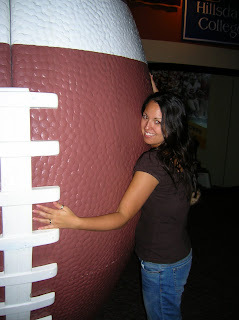 I love football! 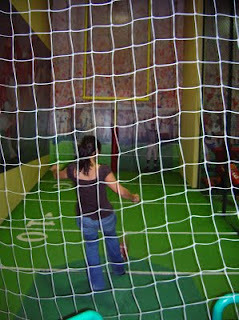 Especially when I can tie football and fiber fun together! I'm alergic to football (did I spell that right) but I always love watching others indulge in their passions. Love how you tied in the fiber:) I've had no time lately but I wanted to send you some good vibes and hope you're doing well. Lots a luv to your bunny! Lots of Knitting Catching Up! Dude what is going on?!? !